This calligraphy wall scroll features the Chinese characters taken from the Chinese Union Bible for Philippians 4:13, "I can do all things through Christ who strengthens me." 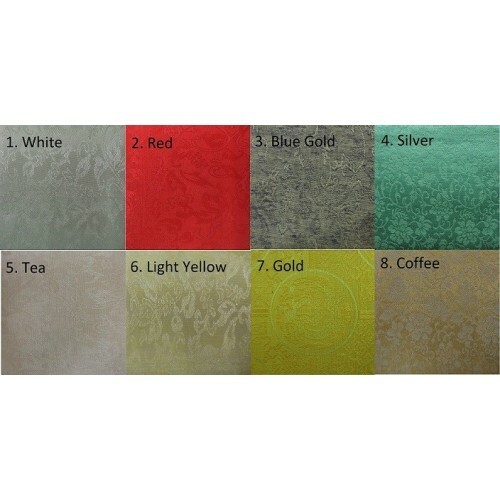 Choose any color or size for your customized hand made scroll. 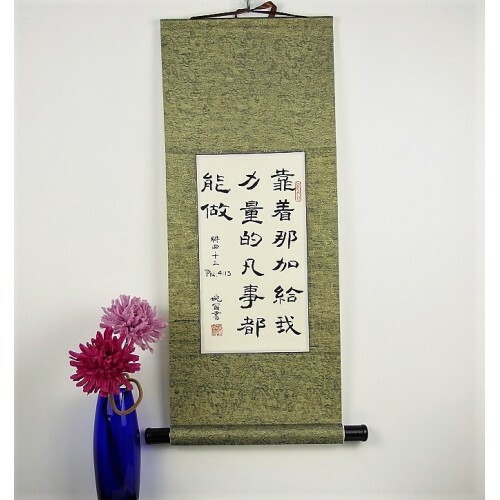 An excellent way to decorate your home with an Asian touch, this scroll can remind you that with the strenght of God you can accomplish anything He wants you to.